At Arizona Pottery we seek out not only beautiful and colorful pieces of pottery from across the world, but we also strive to find unique styles and shapes that will really make a statement in your home or garden areas. We have a wide variety of sources from Italy, Vietnam, Mexico, China, and more, including pieces made right here in the United States. We are bound to have something to satisfy your needs, regardless of style, size, and material. 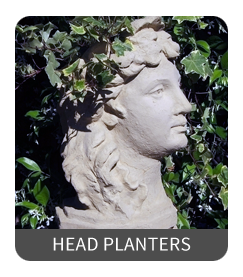 In addition to various styles of pottery, garden planters, and ollas, we also offer a wide range of pottery accessories such as lifters, fillers, saucers, and more. 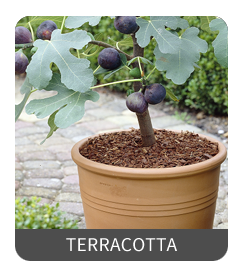 Our clays pots come in varying styles and colors to suit most anyone's taste and décor. 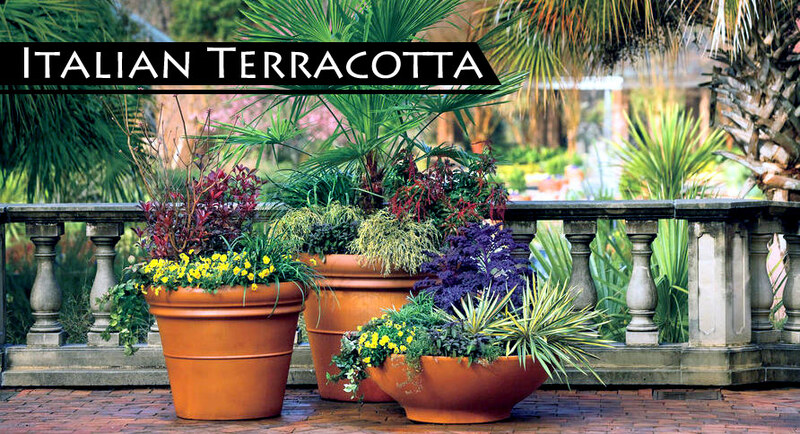 We offer graphite gray planters, white terracotta, Vietnamese high fired black clay, and of course the traditional Italian terracotta that is truly timeless. 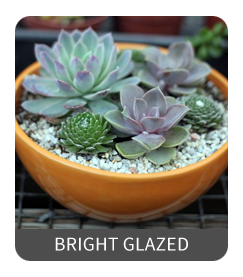 Glazed and painted flower pots are beautiful adornments for your home's interior or outside garden. Whether it is a small brightly glazed planter, or large Vietnamese pottery, it will bring a splash of vibrant color that is sure to make a statement. 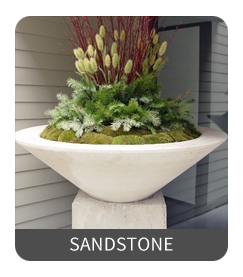 American-made sandstone and concrete planters are offered in a variety of sizes from small fourteen inch planters to immense containers up to sixty three inches wide! 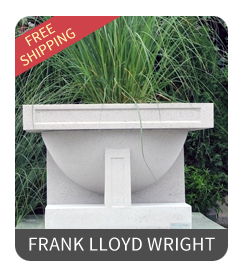 Available in contemporary columns and square, classic rounds, and more artistic shapes, we even have exclusive Frank Lloyd Wright containers. 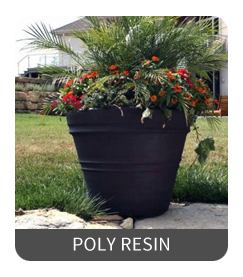 If concrete is too hefty, and you need something a bit more lightweight or a pot with a vibrant burst of color, than look no further than our polyresin pottery line. Available in 48 different colors, our polyresin pots are commercial grade, meaning they are UV resistant, and wont warp, chip, or crack under normal use. 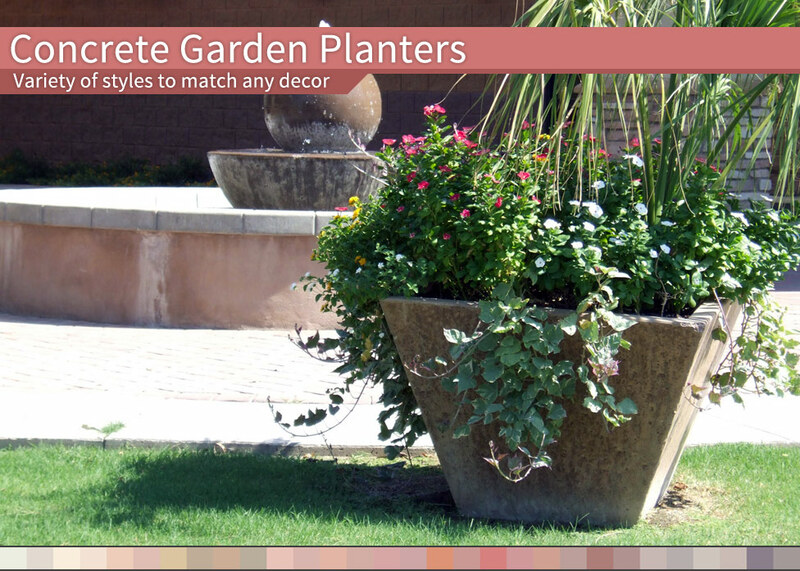 These pots are lightweight and durable, so they can be left out all year long without wear, making them convenient as well as stylish. 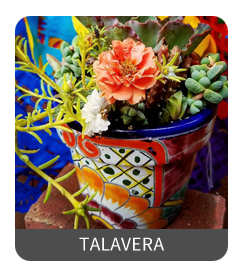 Another bright burst of color for your home or garden, is our Talavera pottery. A high fired shine finish, bright vibrant colors, all painted in traditional and instantly recognizable patterns by hand. No two will be identical, so our inventory is always changing and evolving with time. We also offer items you don't traditionally see in Talavera, including pumpkins, trees, and other holiday décor. Overall, we work hard to try to bring unique and functional pottery to our retail and wholesale customers from all across the globe. Whatever your interests may be, and whatever garden pottery needs you may have, we will try to assist in any way possible. 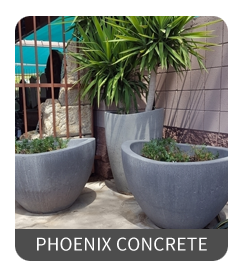 Browse our online store and feel free to give us a call at 1-800-420-1808 or E-Mail at Info@ArizonaPottery.com with any inquiries!